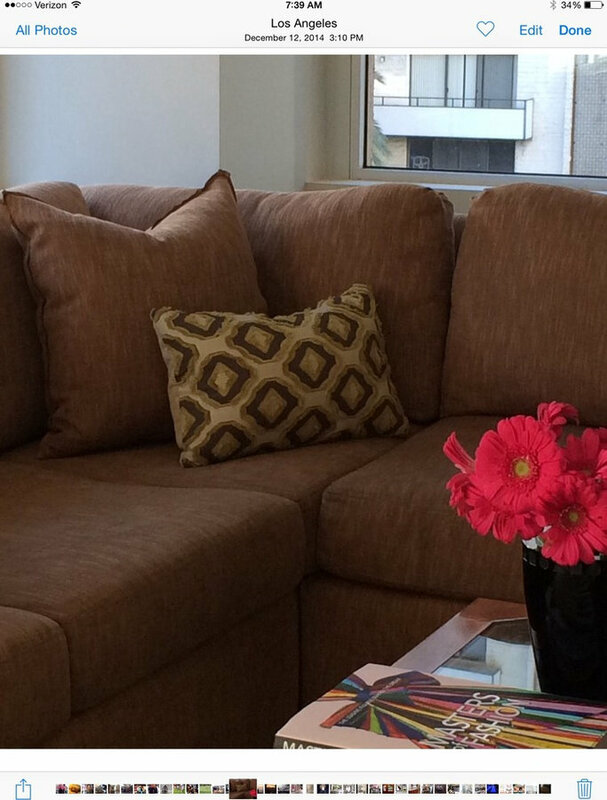 Hi - Rise living , the perfect space for cocktails or Weekend Football get togethers. 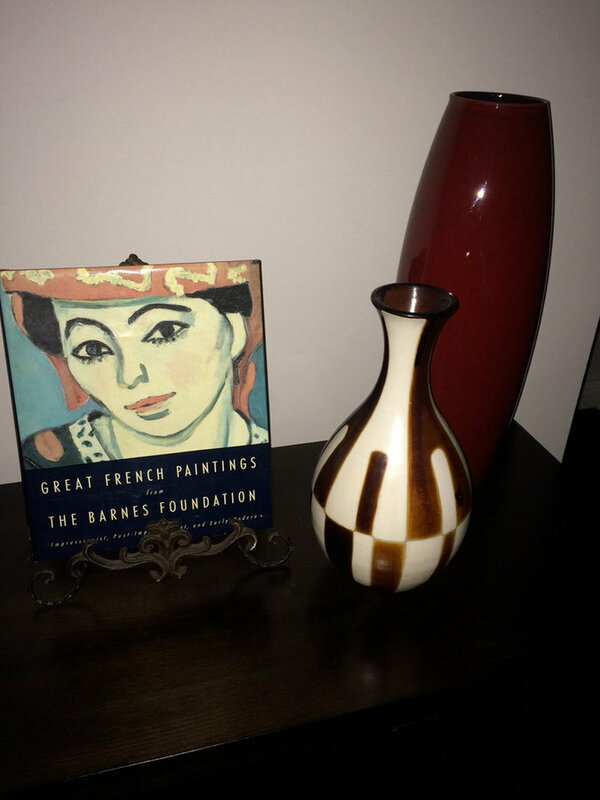 A collection is imperative to personalizing a space. 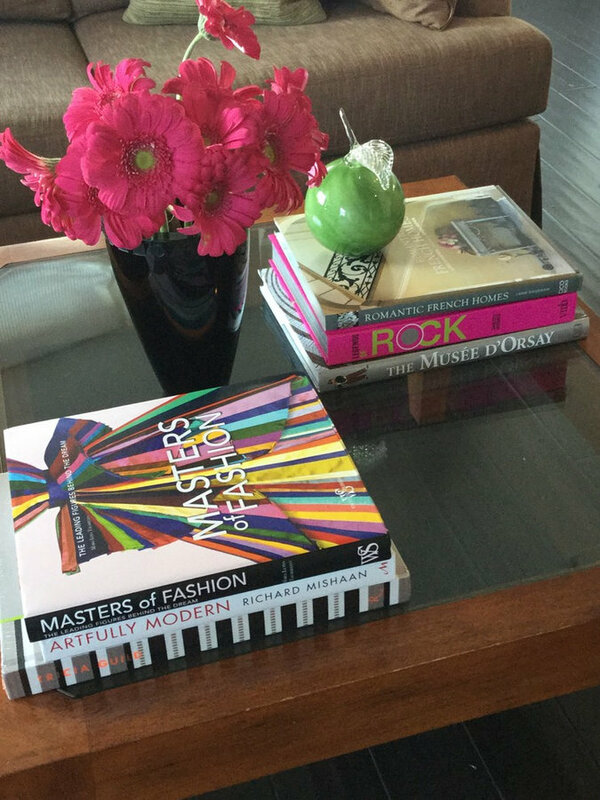 This collection of gorgeous books on fashion and design make the perfect vignette on this sleek coffee table. 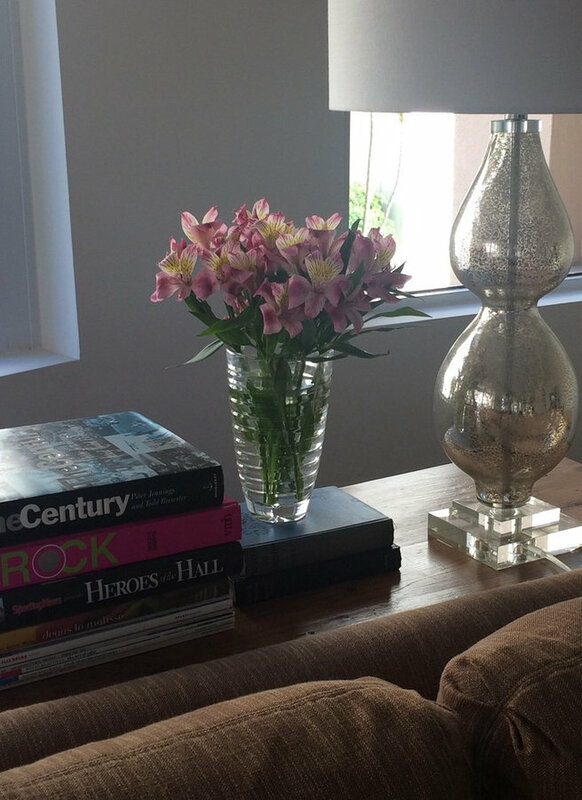 Just about every room can use a touch of lucite. 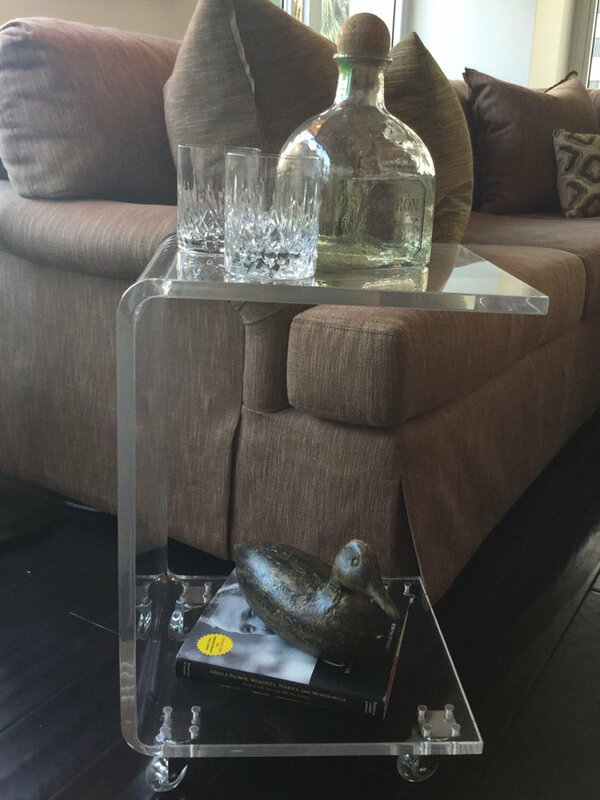 Side table becomes an impromptu bar cart in a pinch. 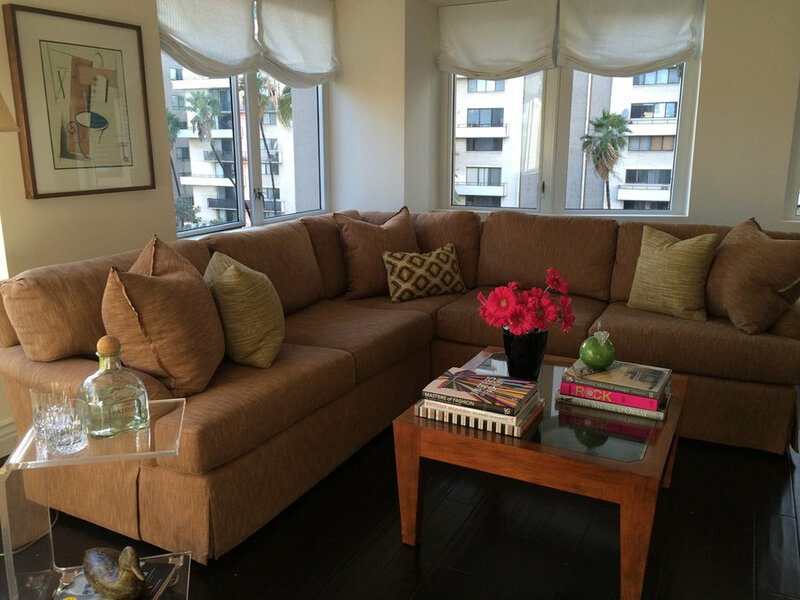 The linen sectional is big, comfy, and ready for movie night. 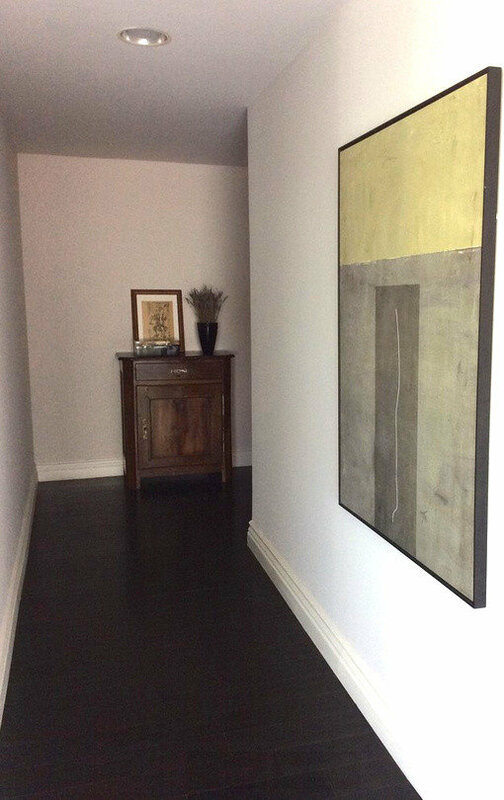 Although some French design is rooted in formality, this entry focuses on the comfortable, charming aspects of Country French. 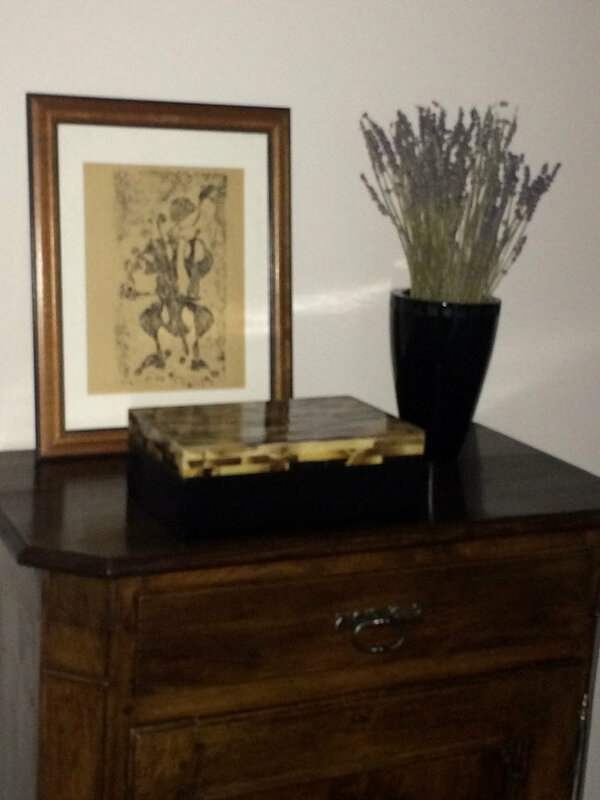 Think distressed wood furniture, Pop a few spears of lavender in a vase and revel in the French country spirit. 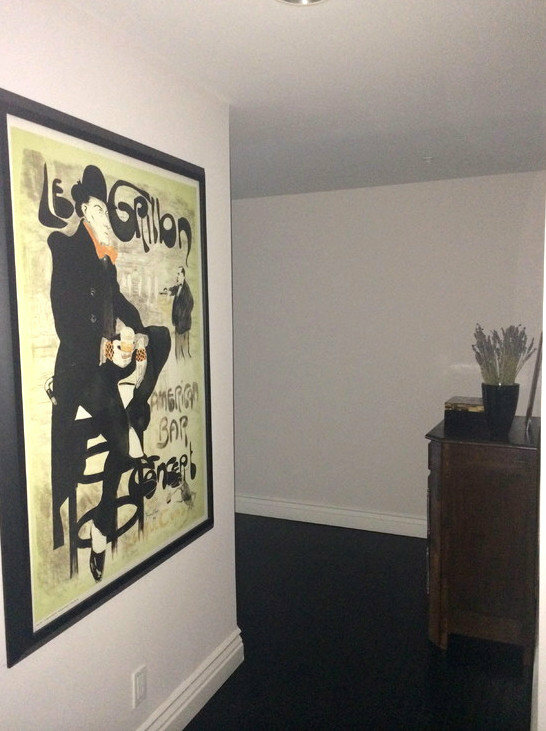 Oversized vintage poster makes a bold statement in the entry of this hi - rise condo. Pop a few spears of lavender in a vase and revel in the French country spirit. It's all in the details. This mercury lamp with a double lucite base was a find at an estate sale. 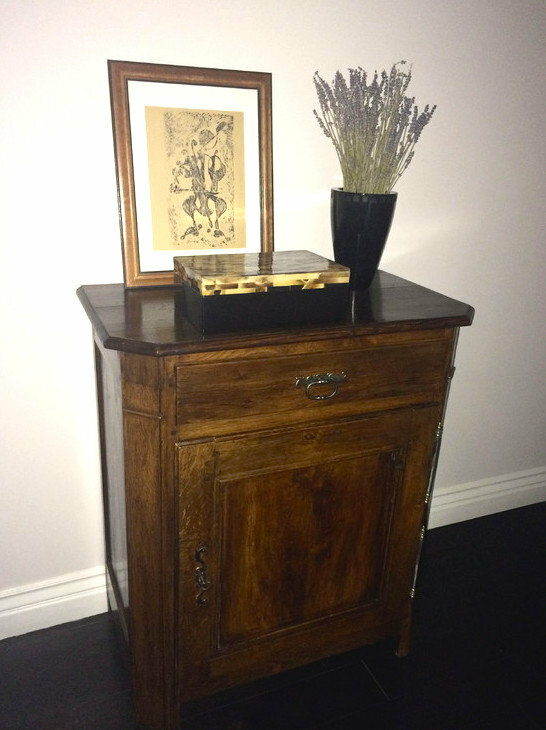 Looks perfect on the antique pine sofa table.